Want to experience great local food for a good cause? Get your ticket for the Farm-to-Train event. I’ve always wanted to celebrate local farm products and feature it at an event. I began discussing my ideas about how we can celebrate local food with some friends the Farm-to-Train event was born! 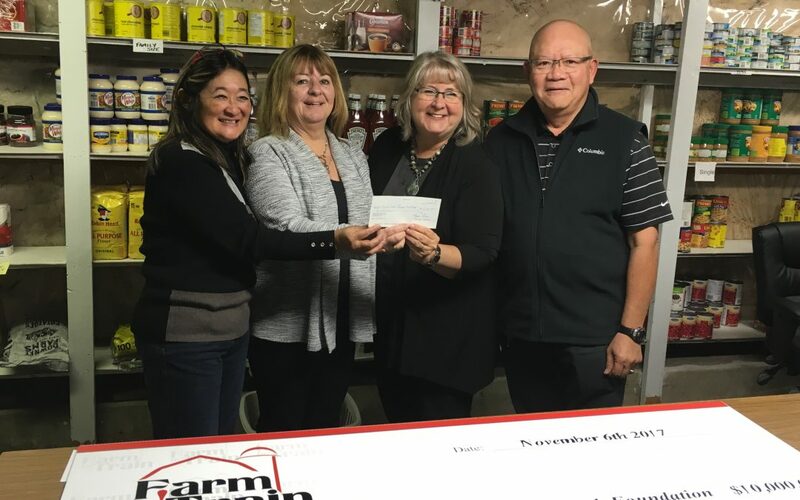 Our group wanted to benefit the community so we all agreed our local Food Bank should be the recipient of any proceeds. So I came up with the slogan “come out and be fed so we can feed others”. We’ve sold out each year. In our first year we raised $7,000.00 for the food Bank. In year 2 we donated $10.00.00 and we are now planning our 3rd year. We have already sold ¼ of our tickets months ahead of time. I just love working on this event – a truly hyper-local enterprise. We support our community by purchasing and showcasing ingredients from local producers. We create a unique tourism experience by featuring a local chef and restaurant, showing off our heritage railway, featuring local musicians, and promoting our local craft brewery. We eat and drink marvelous food and are splendidly entertained by the scenery and musical accompaniment to dinner. Then we make sure that others get the opportunity to eat by supporting our foodbank. A win-win-win event! I hope to see you there.